Don’t you get sick of the focus on the All Blacks as New Zealand’s seemingly only group of blokes who fly the New Zealand flag overseas? It defies the facts to think that they claim the headlines of the world outside of some of the remnants of the British Empire and even there they come somewhat down the list. Australia lauds Rugby League, Australian Rules, Cricket and Tennis ahead of Rugby. Canada is crazy about Baseball, Ice Hockey and Basketball with Rugby somewhere behind. Britain is warmer about Rugby but only a country mile behind football while South Africa…… yes, well South Africa. They love Rugby and are pretty good at it! This week we will be obsessed about the All Blacks playing the United States in Chicago. The field will be sold out no doubt due to the sponsorship of AIG who coincidentally are sponsors of the All Blacks. Conveniently forgotten will be the fact that the US is the only country to have won a gold medal at the Olympics for Rugby! Meanwhile, who is really bringing the name and flag of New Zealand to the world stage? Not the All Blacks but a remarkable bunch of young New Zealanders who are succeeding in a range of sports that are genuinely world sports. Lydia Ko amazes the golfing crowds at an unbelievably young age and seems unable to be shaken out of the No. 3 spot in the world of women’s golf. This is am amazing feat in a sport that is global and greatly loved by amateurs of all abilities. Not only that, she does all this with a modesty and charm that could serve as a model for many others among our sports communities. Motor racing fans have followed the high-speed fortunes of Scott Dixon, the lad from South Auckland, who win races in the fanatical and frantic world of American motor sport. Again this young man whose ability to be articulate is matched by modesty. He continues the stream of young world motor racing champions including Chris Amon and the great Bruce McClaren. Next we have the Adams family – Val Adams and younger brother Steven – who both throw things, Val the Shotput and Steven the Basketball. Val Adams (another South Auckland sporting champ!) has maintained her spot at the top of the world over many years and does so without the drama of injuries and what-not. In fact her recent surgery was simply fitted in to the end-of-season gap without a fuss. Meanwhile we have daily press coverage of a certain No. 10’s medical aches, pains and breakages. Younger brother Steve Adams has literally burst onto the world of US basketball and after a year playing at the college level has seemingly become a frontline player in the NBA. Yet when he comes back to NZ he seems to be still connected to the local roots from which he started. Of course sport is not all that we are good at. Think of music and the many young opera singers who are claiming successes in competitions. Some are going further, the three young Samoan lads from South who combine both formal study as opera singers with a lighter touch as the popular SOL3 MIO. And there are others young singers breaking onto the world’s opera stages – Marlena Ott Devoe, Elisha Hulton and Isabella Moore are just three Samoan singers to emerge. And then there is Lorde – the phenomenon from the North Shore who in some ways defies the understanding of some age groups but who grips the tastes of so many young and seemingly all age groups in what is called “the industry”. She is truly taking New Zealand to the world. Of course there is the issue that Australia will claim all of these as their own and if they can’t get away with it will try the description “Australasian” – it’s just too cute for words! No doubt about it – we are being proudly taken to the world by young people, all stars in their own right and who collectively are arguably among the most widely known New Zealanders on the face of the planet! I bet teachers had a hand in influencing all of them! The Core Curriculum: What Happened to the Apples? Well, the old food in school debate was about as long as a meal at MacDonalds and repeated itself about as much! Having agreed with the Treasury that the evidence that saw an improvement in achievement result from food in schools efforts was about as robust as filo pastry, John Key left the kitchen while the “never mind the quality feel the warmth” brigade marched on. But the interesting development was the emergence of support for Treasury / John Key from an interesting group – Principals of low decile schools in the North. This was interesting – the meals in schools push was supported very much by Hone Harawera and it raised the issue of whether he had talked with the school leaders in the rohe. Also because some of the Principals didn’t really have a track record of supporting strongly, perhaps even at all, the current Government. Their argument was built around the fact that disadvantage can and does take many different forms in their schools. They did not want resources to be tied to one kind of support (food) but rather be available for supporting students in many different ways – a pair of shoes, a jersey, a raincoat – and so on. Their argument made good sense to those of us who are working or have worked at that end of the system. But the Labour spokeperson on education, Chris Hipkins, was not going to miss this party and he waded in with strong support for food and meals in schools etc etc. Again he missed the point – the argument was not about the goodness of food or even the value of eating but about the lack of or any clear evidence that providing food in schools led to a raise in achievement. What had been missed in the Treasury advice was a clear and reasoned statement that there was no measurable or causal link between the provision of school meals and that of improvement in school achievement. They were not writing a book on good dietary habits, or the value of eating, or the overall health of the child. It was a simple statement presented without distraction on student achievement, what helps and what appears to have little effect. One of the I-know-food-improves learning group wished that “John Key would drop his ideological stance but failed to notice the quasi-ideological fervor with which she put forward her view. I frequently exercise the limbs with a serious walk around the many walking tracks in the city area in which I live. One of these walks takes me through the grounds of a high-decile primary school that is very well regarded by the community, has something of a special interest in the environment and seems to take part in the apples-in-schools scheme. They have little gardens planted with a great variety of veges and a worm farm. This vermicultural activity is of some interest to me as indeed I have a little worm farm at home. This team helps me to save the planet and keep the waste disposal unit idle. They don’t do it by themselves, a couple of compost bins are also part of the green army. Well, one day, on one of my walks I thought I would take a peek into the school’s worm farm and what did I see? The bin was half full of beautiful apples. Now that is taking the core curriculum a bit far I thought! Well perhaps not if you were a worm. At last, a food in schools effort which would lead to an improvement. What would Treasury say about that? Just a Spoonful of Sugar makes the lessons go down. The responses to this were reported under headlines such as “Treasury officials should try working without food!” which shed a lot of light on the issues. I have long said in previous blogs that there is no evidence that hunger impedes learning. Sickness, unsafe environments, deep unhappiness will all impact on the engagement of a student but hunger on its own? No! Otherwise you exclude a huge number of the world’s young people from learning. Of course the people who work to take food into school are well intentioned and motivated by a genuine belief that what they are doing is helping. Certainly it might be helping students to feel welcomed at school, the social gains coming from shared consumption of food might well be worthwhile. But, Treasury reminds us, there is as yet no evidence that the students will learn better. The real danger of adamantly asserting that young people will learn better when they are well-fed opens up an easy position for the apologists of failure who run the argument that these students do not learn because they are hungry. If they do learn better when fed then it has to show in some way and this ought to be capable of measurement. Then there is the convenience of forgetting that many middle class young people do not have breakfast and this is a lifestyle choice they make. At best many students in many well-off homes have an at best desultory attitude toward the power of Kornies or yoghurt to unleash the brain. Learning is far too complex to be simply fixed up by a sausage roll or a plate of breakfast food and that is what attention should be paid to. Why after 137 years of providing for universal education do we still have a school system that certainly allows all young people to enter but in no way provides for equitable and successful outcomes. Why do the stubborn statistics of failure still stalk us as they have done for so many decades? Mary Poppins could get away with promoting a spoonful of sugar but that’s not going to work. Children fail because of a collocation of factors which together probably are what equates to poverty and if not poverty than certainly to a state of being empoverished. The factors of this conspire to bring poor housing conditions, poor employment opportunities, poor health and access to healthcare, low access to quality early childcare education – the list could go on – all of which on their own could be pushed back but which in consort are a formidable set of hurdles for some families to overcome. Of course this manifests itself in the classrooms of the country – sometimes in an isolated way and sometimes in a widespread manner. In the latter situation learning is difficult and the spiral of intergeneration failure continues to gather momentum. So the job is not done simply through the provision of a bit of tucker. A school term starts. Back to the traffic issues created by schools (in Auckland anyway) and to the long period of fine weather that the gods seem to hold back until the school holidays are over! And back to the rigours of assessment – the traditional end to the year. 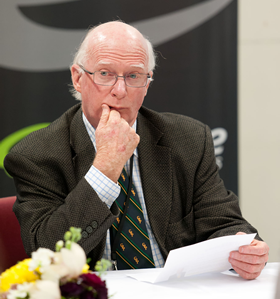 Back in the late early 1990s after the the Education Act in 1989 had established the New Zealand Qualifications Authority, the education system moved towards a standards-based assessment regime to replace the norm-referenced examination system that had been premised on a deep-seated belief that success should be rationed. The new system would finally allow students to be acknowledged for achievement and this would be able to be accrued at time other than the end of year assessment season. Twenty years later we still struggle to give full effect to this huge change and we have become stranded in mid-stream so to speak. Now, the other great promise was that “time served would be dead!” No longer would students have to complete set lengths of time to enter an assessment. This would allow assessments to be flexible and be able to be made at appropriate times when student could demonstrate learning. Those demonstrations could be at different levels and simultaneously so. First you must serve 10 years of education before you can have a crack at the assessments. Then you can only dip into Level 1 in the next 12 months, Level 2 in the year after that and Level 3 in the final year. And there is a focus on the external assessment. Wait a minute. Isn’t that the same as we used to have? Well, yes and no. In terms of the rigidity of the way in which standards-based assessment is made available to students (Year 11 = Level 1, Year 12 = Level 2, Year 3 = Level 3) it is not dissimilar to the old SC / 6th Form Certificate / Bursary routine. We had managed to socialise the new so that it resembled the old. In having to wait until Year 11 to start the qualifications trail it is the same. But there are also some differences – the focus on assessment throughout the year and the engagement of students in how their work is assessed and what it is worth are different from the old mystery envelope approach. NZQA is on a journey to provide assessment on line, anywhere and anytime. This is a bold initiative because it will at some point have to confront the practices in school which are not flexible and in their current state probably could not cope with the individual emphasis and freedoms that this development implies. · allowing students to start earlier and move more quickly in areas of greater aptitude. There was recently a statement that there could be merit in looking at a national assessment in Year 10. Certainly, it has long been a need for greater focus in that year and even my old school introduced a Form 4 Certificate in 1960! But is there a need for something new? Could not NCEA Level 1 start in Year 10? Many students would relish the opportunity to get on with their qualifications. Of course it has implications for the length of schooling and perhaps many would be moving on to the next stage in their educational pathway earlier than is the current practice. We need to challenge the use of time in education. I know of only one other institution in our society where you serve time, and even there you get time off for good behaviour! Being patient and getting results! David Hargreaves once wrote a paper in which he compared education and medicine and expressed the view that education could learn quite a lot from that other discipline and the profession that practices it. For the past six weeks I have been able to observe doctors and nurses going about their daily work in a number of settings in two hospitals as a Family Member embarked on a journey through a series of complications ranging from the serious to the not-so-serious as a sequel to a major operation. This has included such settings as specialist wards, general wards and two different intensive care units. So on the basis of this extensive “research and observation” I offer the following reflections. It is clear that medicine is much more research driven than education. They bring the results of research into their decision-making, the tools they use and the procedures they apply. I saw no evidence of leeches being applied, blood being let for the sake of it or of poultices being randomly applied. Yet in education we continue to use practices that don’t work well past the time when evidence has made us aware of that. Medicine bases what they do on careful and scientific observation (aided by incredible technologies it must be said). When they make assessments it is on the basis of evidence, what they see and know. Of course there is a role for experience, judgment and intuition. But all these attributes are applied in a controlled and measured manner. And on that matter of technology – it is apparent at every level of the practice of medicine and it is clearly a wonderful tool that assists professionals to do their job. Do we have this orientation in education? Or do we too often think that the technology will do some or all of the job by itself. I forget who said that the teacher who thinks that technology can replace the teacher deserves to be. I saw technology being used to allow the skills of professionals to flourish. Team work. I observed specialists from different disciplines working as multidisciplinary teams and wondered why this still challenges us in education. How often do we daily bring to bear the different skills-sets of different educational practitioners to bear on the issues of achieving positive results? Yes, occasionally but certainly not enough. In the intensive care units single nurses have high levels of personal responsibility for a patient but in close proximity are other nurses with similar responsibility for their patient. And when one needs help from the other it is easily and willingly there. Instead we place teachers into settings where they are physically as well as professionally isolated. It is a difficult undertaking rather than an easy norm to achieve this level of team work balanced with individual responsibility in many education settings – in one it is the patient that benefits and in the other the student who must be patient! Another area that impressed me was the relationship between the close family of the Family Member and the professionals. Even in the most troubling of moments those who cared greatly were made to feel welcome and even brought into the innermost sanctums of the workings of the hospital. Information was forthcoming, briefings given patiently and in terms we could understand. The well-being of not just the Family Member but the small group around him were a clear concern. Why then must the educative processes be practiced at a relatively remote distance from the families and caregivers? It seems almost verboten for family members to get into classrooms or even past the front office. The orchestrated “report evenings” are offered as a morsel of consultation and attendance reported as something of a meaningful thing yet ongoing involvement of the closest group of the student is often denied. It seems neither good practice nor conducive of the best environment for learning that sees connections between home and school. Finally – and this was a great joy of the past six weeks – the application of knowledge and training to the real world was apparent at every point. I work in an institution that trains nurses and they undertake clinical practice in the same hospitals that I visited so often. The trainees were identified by their logo on their trainees uniform and I have had many conversations with them. They expressed not only the pleasure their experiences were bringing to them and the helpfulness of them to their development but also an affirmation that they had made the right choice. They “loved it” and “really wanted to be a nurse” and were “really excited” that they were heading towards such a worthwhile job. Gently questioning identified those who had trained and were now flying solo. Nurses of different experience including those out of training relatively recently were given real responsibilities and supported and supervised but real responsibilities nevertheless. We see this in young teachers. But do we have a joyful workforce? Are people in education the cheerleaders for education? And the good news? Family Member is going home this week. There is a commonly held belief that when the chips are down the state health system is second to none. Can we say the same about our state education system?